This is the place where we will recount stories of successful fightback, and the rest. Activists are intimidating charities into quitting work scheme, says DWP, The Guardian, 27/2/2013. 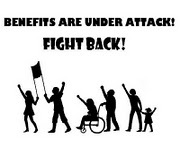 Back to work schemes quashed in huge victory for ordinary people, Boycott Workfare website, 12/02/2013. The guerrilla library: As cuts close 8 libraries per month, we visit one that rose again, The Mirror, 14/11/2012. Holland & Barrett pull out of workfare – Boycott Workfare week of action 7th-14th July 2012, Notts SOS website (linking to Boycott Workfare’s announcement), 6th July 2012. Government U-turn on work scheme. The Guardian, 1/3/2012. See also Boots leaves scheme for long-term unemployed, BBC News website, 29/2/2012. Council refuses to back NHS plan to close walk-in centres, Nottingham Post, 7/9/2011. Government U-Turn: Victory for the Action For ESOL campaign!, 28/8/2011. Fortnum & Mason protest: CPS drops charges against 109 UK Uncut activists. The Crown Prosecution Service has dropped charges of aggravated trespass against 109 UK Uncut activists who occupied Fortnum & Mason in March, saying they are no longer in the public interest. Police admit deceiving protesters into mass arrest. The Guardian, 18/07/2011. AHRC Big Society row deepens as 42 peer reviewers pull out and call for mass resignations, Times Higher Education, 27/6/2011. Doctors reject coalition’s changes to health plans, The Guradian, 28/06/2011. Campaign saves Hayward House Daycare in Nottingham!, 15/05/2011. Solidarity Federation wins victory against Office Angels, 15/05/2010. The campaign to get a temp worker paid was supported in Nottingham by a demonstration at Office Angels on Monday 9th May. RCN passes vote of ‘no confidence’ in Lansley and reforms, Nursing Times, 13/4/2011. A Major Win for UK Uncut Today saw the launch of a public inquiry, to be conducted by the Treasury select committee, into the issue of corporate tax avoidance. 29/3/2011. Partial U-turn on Educational Support Allowance cut is announced by Gove, although University and College Union say U-turn on EMA replacement doesn’t go far enough, 28/3/2011. March 26: Time lapse video of protest shows massive scale. Video by Paul Hanes captures the true scale of the March 26 protest. Filmed over four hours and compressed into 23 minutes it shows the whole demonstration. Protests fail to halt Nottingham City council cuts – BBC News Nottingham website 8/3/2011. OK not the outcome we wanted but perhaps not surprising since Labour controlled councils have been passing on the Coalition cuts across the country, slashing services and serving redundancy notices to do this. I small number of councillors have decided our face. As was chanted on Monday 7th – is this what democracy looks like? Forest farce: Cameron to axe sell-off policy, The Independent, 17/02/2011. Previously, English forest sell-off put on hold, The Guardian, 11/2/2011. Nottingham City Council’s court triumph in cash battle, The Nottingham Post, 12/2/2011. Related item: Gove loses court battle over cancelled school building projects, The Guardian, 11/2/2011. Nottingham protests before vote to scrap EMA is passed by government on 19th Jan 2011. 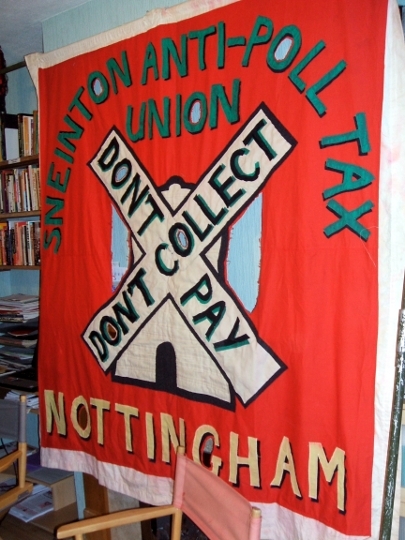 [plus link to ITV footage of demo], Notts SOS website 20/11/2010. We lost this one but we’ll fight on! Still got EMA in Scotland, Wales & NI (for now). 1100 march against austerity. Video and photos from the big march and rally in Nottingham on 20th November 2010. The Big House, Edwinstowe saved by campaign – will now stay open until it’s replaced (September 2010). Campaigners concede defeat in fight to preserve historic Victoria Baths – in spite of a long running campaign (July 2010). Protests against county council cuts (February 2010). Our road to success will hopefully be paved with success, but we will also recount the failures, not least as part of showing what is really going on. Even without success, it’s “Better to die on our feet than to live on our knees”, as one Mexican revolutionary once said. And we know we beat the poll tax.